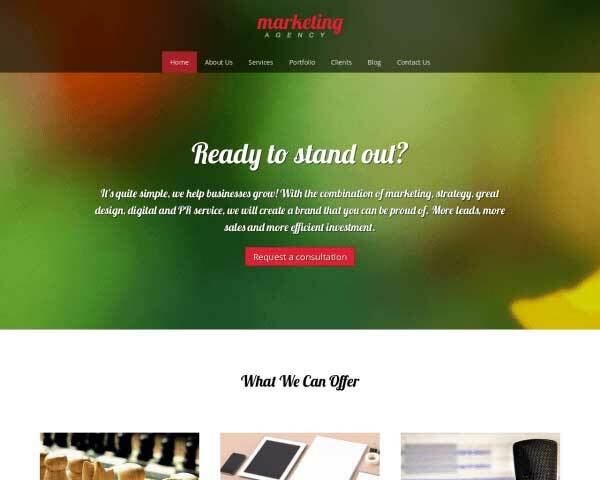 Impress clients with your online marketing expertise through a professional website! It's easier to convince prospective clients that you know online marketing inside and out when you can be proud of your own website. 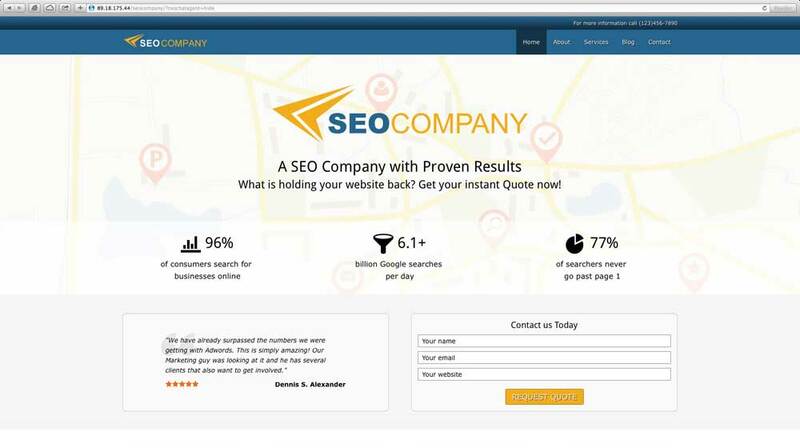 With the SEO Company WordPress theme, a professional online presence for your SEO business is now within your reach! Being an expert in SEO and online marketing doesn't necessarily go together with being an expert in website design. 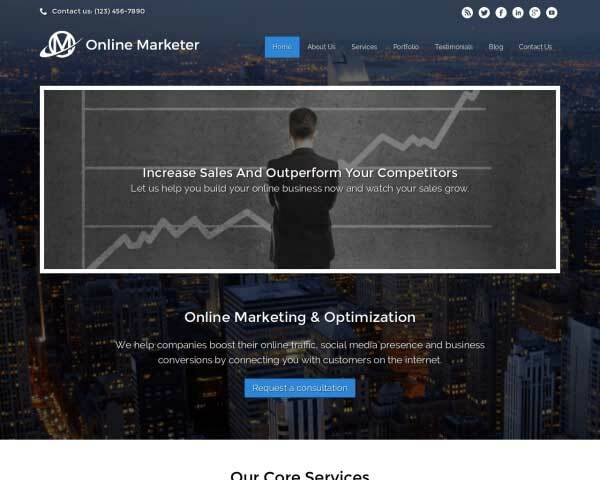 If you lack the time or coding skills to build a great website for your SEO business, you can still impress clients through a professional online presence with the SEO Company WordPress theme! 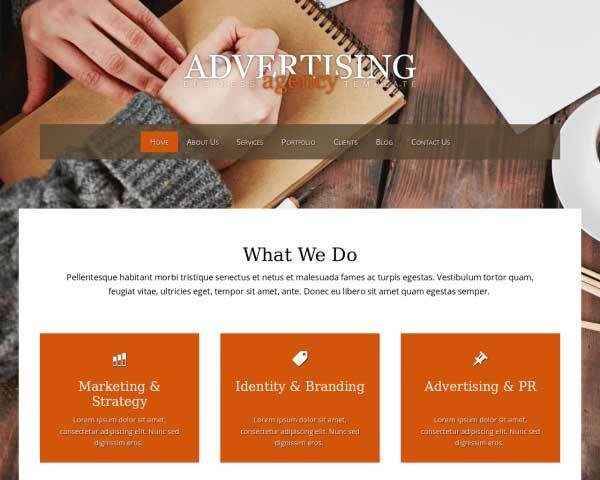 We've set it all up for you with a comprehensive homepage featuring an overview of your services, company approach and quick links to your latest blog posts. Pages for more details about each of your SEO and online marketing services are included so all that's left for you to do is add in your own text and photos. Our unique front-end editor makes it easy to drag and drop widgets or add new content and features with just a few clicks and no coding whatsoever! Fully responsive and integrated with popular social media platforms, you won't need to search for plugins or rely on a web designer to update your content. 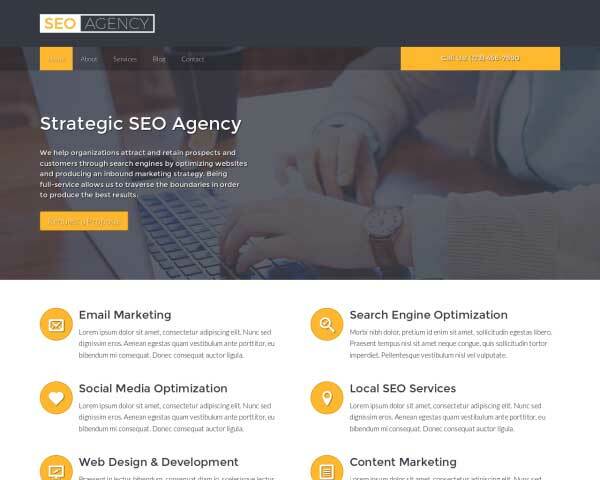 Show your clients what you can do for them through your own professional website when you start with the SEO Company WordPress theme! 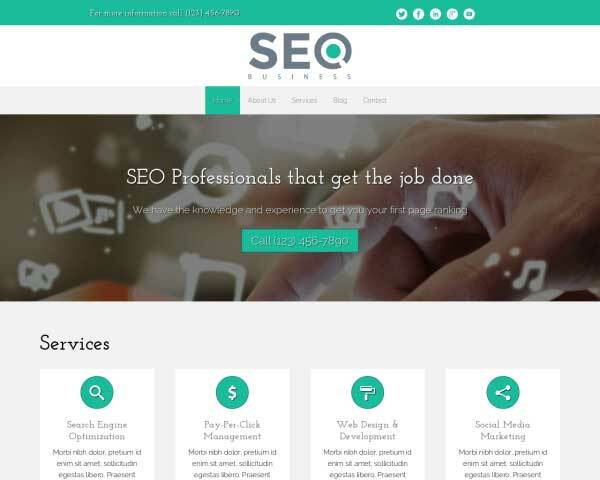 The SEO Company WordPress Theme features a blog section to share tips, news and articles. We've even included a few sample posts to get you started. Before creating the SEO Company WordPress Theme, we first researched the specific business needs of seo experts. We've built in premium features to help you grow your business online. 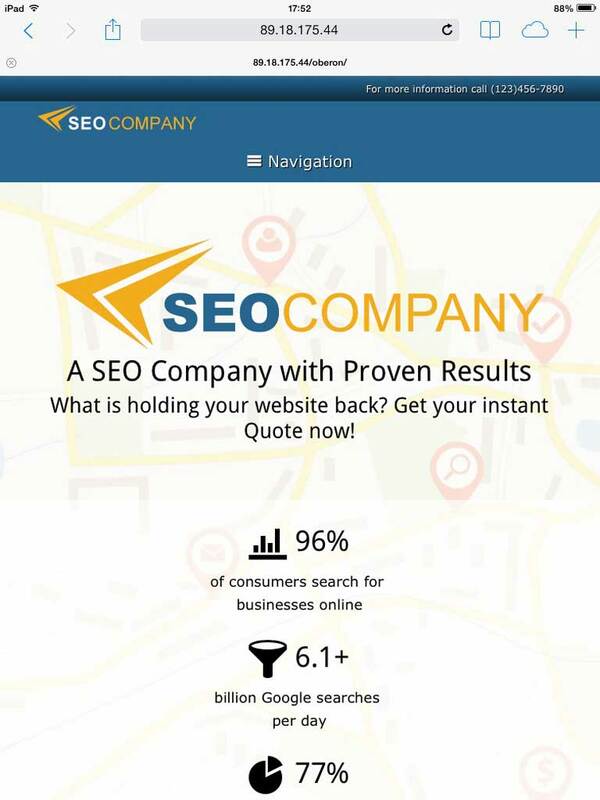 The contact page represents the SEO Company WordPress Theme at its finest. The page is very inviting and gives your customers multiple avenues to reach you. 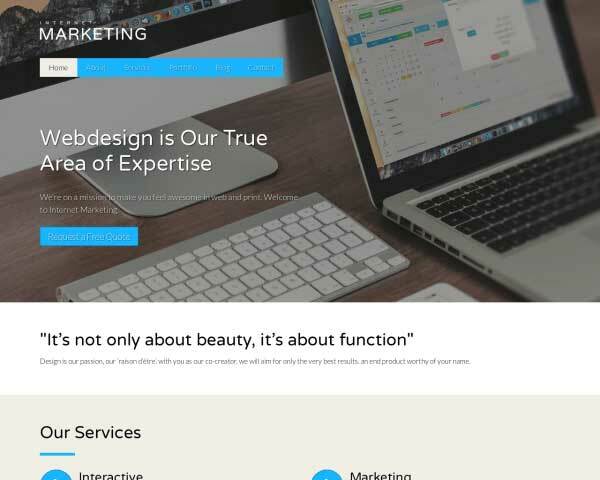 The SEO Company WordPress Theme is designed with an effective, simple layout that allows your main proposition to steal the show. Use as is or personalize the color scheme to suit your style. 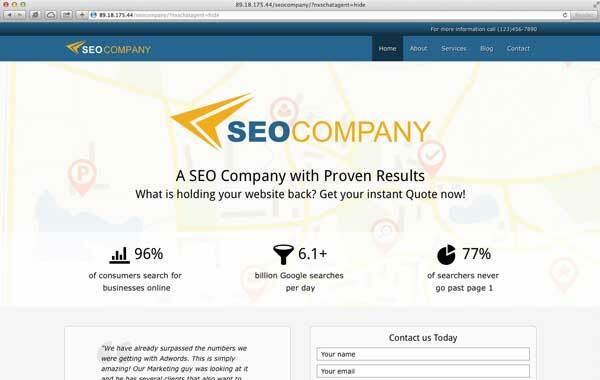 On the homepage of the SEO Company WordPress Theme, visitors will get an overview of your services in one glance. Clicking on a thumbnail goes directly to that service page. When your business is online expertise, it's important for the professional look and feel of your website to come across even when viewed on mobile devices. 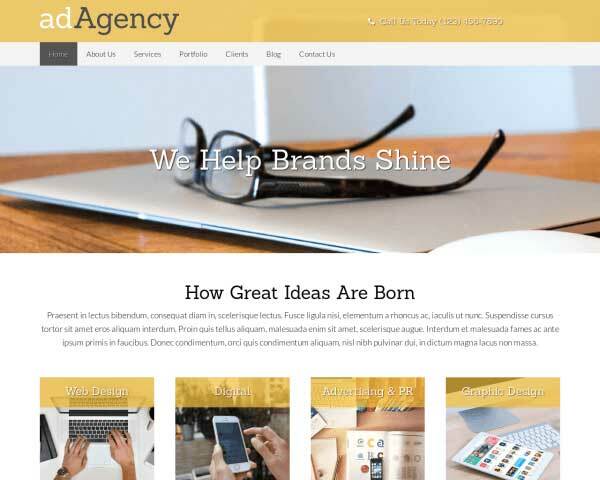 So you'll be glad to know that the SEO Company WordPress theme is fully responsive to automatically adjust your content to fit neatly on any screen size. 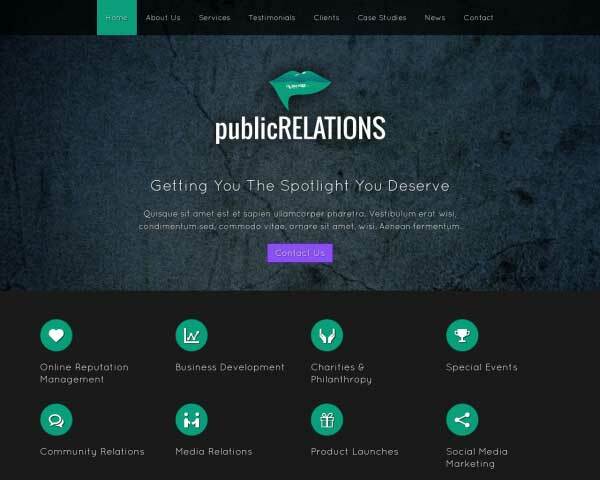 Like all of our website templates, this theme is mobile-optimized right out of the box without extra plugins or tedious coding. 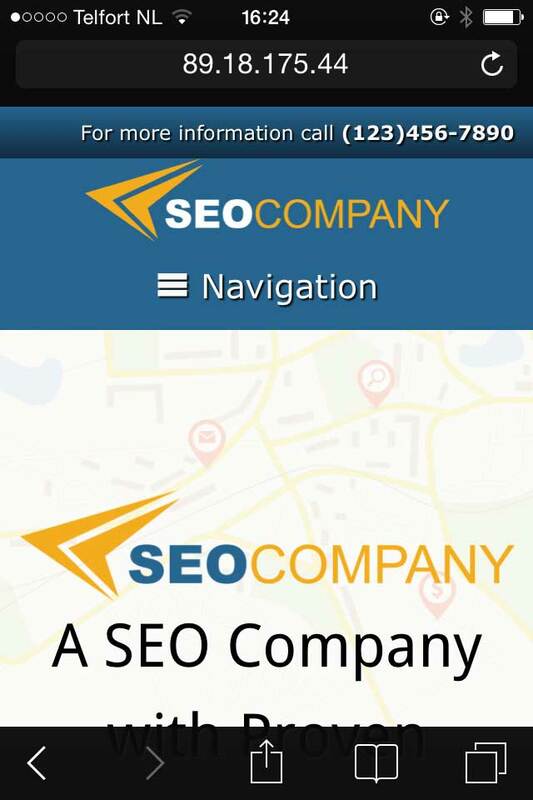 Ensure that mobile visitors will enjoy the same design and functionality of the desktop version on any smartphone or tablet with the SEO Company WordPress theme!